In the framework of the Spanish - Tunisian cooperation in October 2004 the Technological Institute of the Canaries began to the works for the implementation of a project to supply drinking water to the town of Ksar Ghilène in Tunisia. Ksar Ghilène is an isolated village that lies in the Sahara desert in southern Tunisia. With 300 inhabitants working mainly in agriculture, livestock and tourism, Ksar Ghilène did not have potable water. To access water, the village had to rely on tankers bringing water weekly from a well located about 60 km away. The village also lacked electricity, being the nearest electricity grid situated in a village 150 km afar. 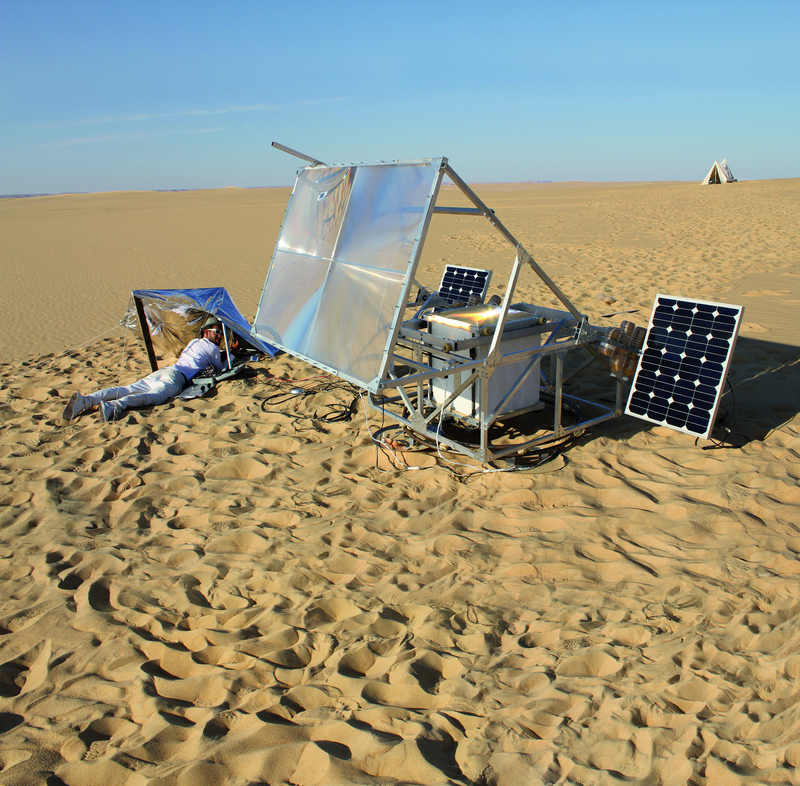 The project included the design, installation and commissioning of a system of autonomous desalination powered by a photovoltaic solar energy system, which is still in working more than ten years later.